How your business appears to others is vital to your success. An old run-down building won’t inspire confidence in your clients. However, a freshly painted, well-kept store front will. A professional paint job shows people you care about your business and take pride in how you look. It also reflects well on the quality of the products or services that you offer. Hiring a commercial painting contractor ensures your facility makes the best possible impression on customers. 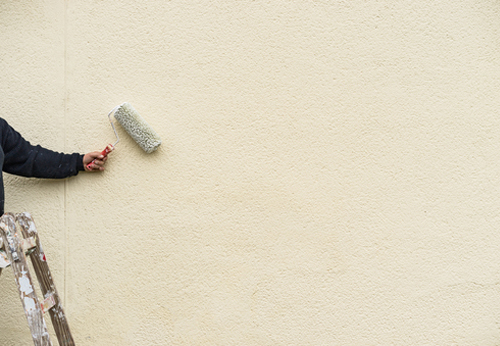 Whether you need a painter for new construction or to touch up dirty, damaged walls, Mid-Illinois Companies is the one to call. Our trained contractors will make sure your project is done on time and on budget. We are the top commercial painting contractor Springfield IL trusts. As a business owner, we know how important it is for you to stay within a budget. Plus, you want minimal disruption to your daily operations. That’s why our commercial painting contractors complete your project without delay. We show up at the appointed time, do an efficient job and get you back to business in no time. Rest assured, we only hire the best contractors with the highest level of training and experience possible. Whether you need exterior, interior or industrial space painting, we have the contractors on hand to get it right. 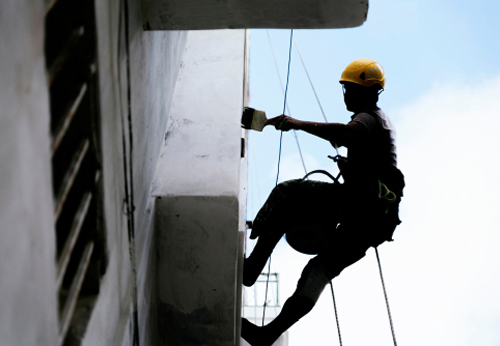 We cater to many commercial clients, offering painting of interior and exterior walls and ceilings. Our team will protect your building against rust and corrosion. Plus, we will help you comply with OSHA and local regulations. If you require the services of a commercial painting contractor in Springfield IL, contact Mid-Illinois Companies at 217-685-5486 or email us at info@mic123.com. We have an office in Springfield at 1700 E. Clear Lake for your convenience.